Her favorite word will be bling in the Lanvin Kids™ Short Sleeve Jewel Embellished Logo T-Shirt. Jewel encrusted brand logo along the chest. 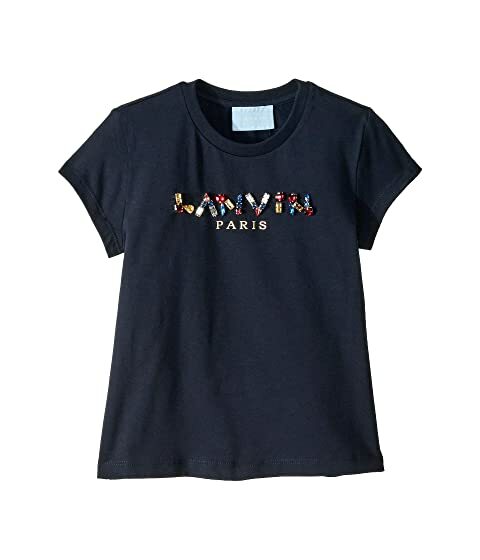 We can't currently find any similar items for the Short Sleeve Jewel Embellished Logo T-Shirt (Toddler/Little Kids) by Lanvin Kids. Sorry!